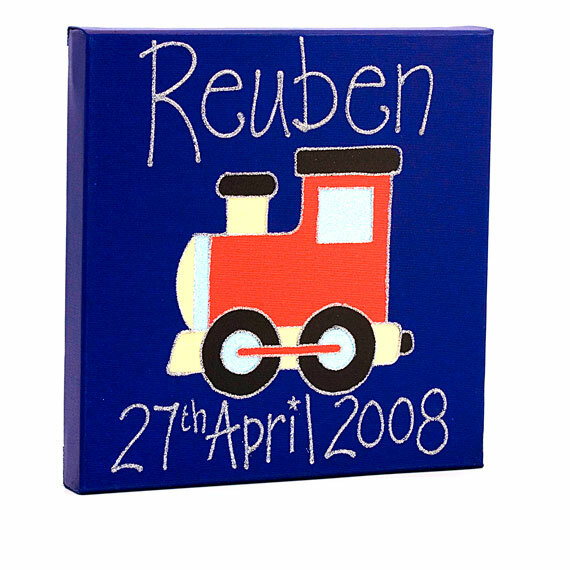 The Dotty Express canvas is available in 2 different sizes 12″ x 12″ and 20″ x 20″. Each size is a 3.5cm deep, gallery wrapped canvas with no visible tacks.The design is hand finished with a gorgeous sparkly effect, and the child’s name and date of birth is added in glitter. Small – 12"x12", Large – 20"x20"